Author note: In order for the olives to acquire the flavor from the marinade, it is critical to let the olives soak for at least eight hours. The longer the olives marinade the more delicious they become. 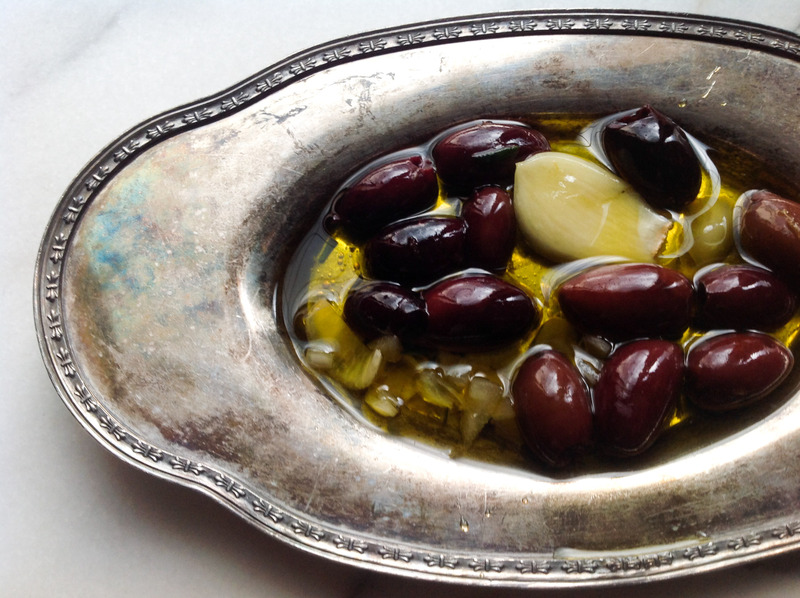 The recipe instructs to heat the olives before serving, however the olives are also tasty at room temperature. Combine all ingredients into a bowl and stir well to combine. Place in an airtight container and let marinade at least eight hours before serving. Heat an oven to 250 degrees. Place the olives and marinade in an oven-proof bowl. Place the olives in the oven and warm for 15 minutes. Serve immediately. This entry was tagged dallas food blog, dallas food blogger, kalamata olives, marinated olives, olive appetizer, Olives, rosemary garlic marinated olives, warmed olives. Bookmark the permalink.